As the first undersea tunnel built in China, Xiamen Xiang’an Tunnel, has the largest cross-section compared to the other undersea highway tunnels in the world which is using drilling and blasting method. Xu Jingming as the author try to discuss the six main issues within the epic tunnel of Xiamen Xiang’an which has involve many aspects. The first part describes the background of the Xiang’a n tunnel construction. With over a ten years preparation, the XIangan Tunnel construction then started at 2005 and was finished 4 years laters. The construction leads to improve the Xiamen Special Economic Zone. Beside that the traffic problem was the other background of the implementation. 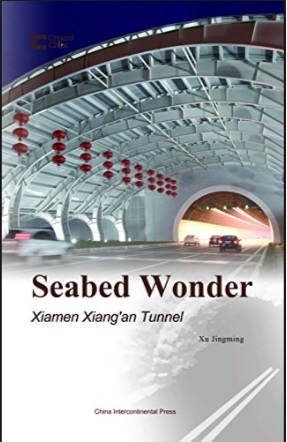 The second part, Xu Jingming wrote about the challenge in solving the problem for the surveying process, the matter of soil layer and a general discussion of problem that occurs in undersea tunnel around the world. It is shown that the importance here in building a tunnel is to make a deep surveying process before the real implementation. A heavily weathered soil become the main problem here and the team made a proper solution. Meanwhile, the third part mainly discuss the importance of Safety and Quality of the Xiamen Xiang’an Tunnel implementation. Safety towards zero accident is one of the principle of the construction process. The next part is about electromechanical engineering with the discussion about the ventilation system of the tunnel. The design is morely to make an urban landscape which we can find the stone relief of “Never Give Up.” In this section, the other site of city is revealed to inspire and ardous the construction scenes during the Xiang’an Tunnel Construction and to praise the constructor’ selfless dedication and achievments. The next section was about the foundation for the tunnels completion of the electromechanical system, which is the main part of this section. One of the technologies used is the fluorescent scheme adpted for the lightning along the tunnel. The remaining chapters and part are mostly discussing about the importance of the Xiamen Xiang’an Tunnel and the effect to the Chinas. With the number of about 15.000 vehicles through on the opening day, the Xiangan Tunnel brings it pride in the opening day. The rest section was about the improvement of tunnel magement method by using sprays on the channel with fire control alarm and intercom systems. Where in this tunnel relies the pedestrian passage way for excavation of fire case. As in this case transportation is the most important infrastructure for supporting urban development. This book is good for public use. The language is easy to understand which means the technical phrases are well described based on the general term and understanding. The discussion by Xu Jingming is mainly qualitative which means mostly are about description to the general condition and issues of the tunnel. The author didn’t provide the detailed technical data which this book is good for general use. As the traffic fortress connecting Xiamen and Xiangan, this tunnel was not only the lifeline of the economic development, but also an important measure to promote regional development. So, this book can be a good reference for introduction for preliminary tunnel development.